The SL-3700 Tournament Fishing scale is available to local fishing clubs, tournaments, fishing charter boat operators, and sportsmen. The scale is factory calibrated to display weights up to 60 lbs. in 0.01 lb increments. The internal rechargeable battery means that you can take this scale right to the dock. 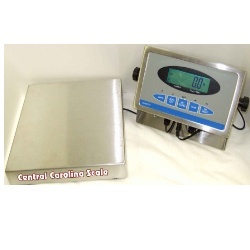 12"x14"
Advanced digital scales that are perfect for fishing clubs all around. If you and your club or tournament need a high quality set of scales that are built to last but don't cost thousands of dollars then you need to take a look at this scale system. The SL-3700 Tournament Fishing scale is a great choice for fishing clubs, tournaments, charter boat operators, and just average fishing enthusiasts. The scale is factory calibrated to display weights up to 60 lbs. in 0.01 lb increments. The internal rechargeable battery means that you can take this scale right to the dock. The scale can run for hours of continuous use before a recharge is needed, and you can even use the scale while it is being recharged. The scale platter size is a generous 12"x14" size to accommodate clothes baskets, buckets, totes, or any other weighing container. "Tournament Fish Weighing Software" is built into the scale system. The scale has weight lock functionality and filtering in the settings. Choose to use it or not. 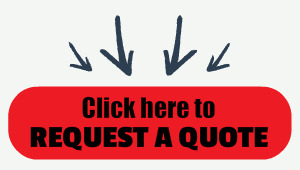 The choice is up to you. The SL-3700 scales are particularly suited to fishing tournament weigh-in applications and general purpose weighing. These are very affordable scales with accurate weights up to 60 lbs in 0.01 pound increments. This stainless steel indicator operates on standard AC power or rechargeable battery (both included). On a full charge, the scale battery should last approximately 15 hours. A simple to read digital indicator w/ LCD display can be wall or table mounted for easy visibility and this system also features advanced motion filtering and weight hold feature which may be turned on or off. The SL-3700 features a RS-232 interface that can transmit and receive using a demand type protocol. This feature allows a large remote display to be attached for tournament crowds. The SL-3700 features a durable low profile stainless steel 12"x14" weigh platform which allows for easy weighing. This scale system is a relatively low cost, yet versatile and portable washdown safe tournament scale perfect for any size tournament. Low profile stainless steel platform and stainless steel indicator with desk mount included.